John A. Belcher has won the 2019 International Advisory Experts Award for Business Litigation Law within California. Congratulations, John! 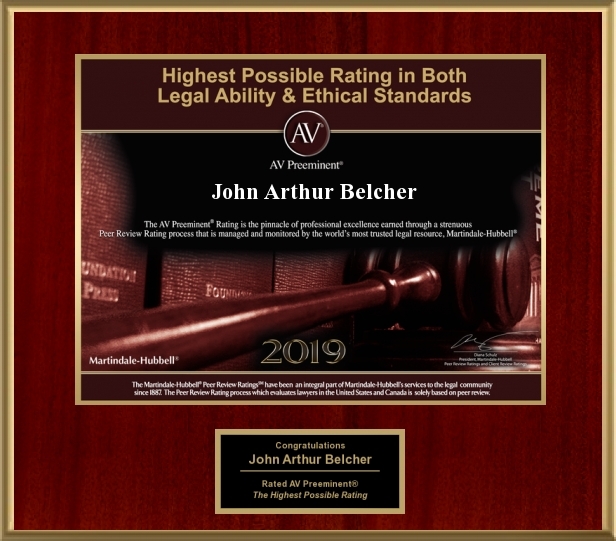 John A. Belcher has received the highest possible rating in both legal ability and ethical standards from Martindale-Hubbell for 2019. This rating is the result of a strenuous peer review rating process, and we certainly value the feedback of the legal community. Congratulations, John! 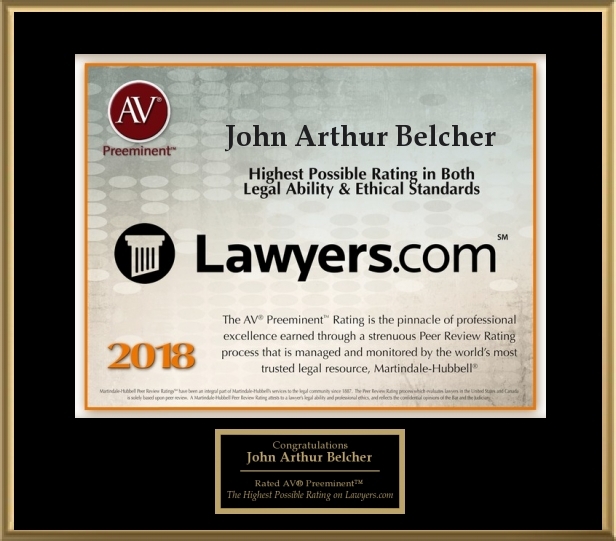 John A. Belcher has received the highest possible rating in both legal ability and ethical standards from Judicial Edition for 2018. This rating reflects confidential opinions of members of the Bar and Judiciary. John has also been selected for the 2019 Southern California Super Lawyers list, an honor reserved for lawyers who exhibit excellence in practice. Only 5% of attorneys in Southern California receive this distinction. We certainly appreciate when our firm’s commitment and hard work is recognized. Congratulations, John! Our firm continued our win streak in the Court of Appeal with unequivocal victory in Cheryll Gotto v. William Soto, G053961. The Fourth District Court of Appeal reversed the trial court which had entered judgment in favor of a real estate agent accused of defrauding an elderly client. 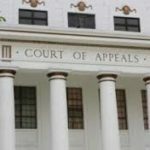 The Court of Appeal denied the agent’s request for sanctions, finding it unwarranted. The Court of Appeal awarded costs to our client. The decision was an unequivocal victory for plaintiff and Appellant Gotto. We are pleased to have been selected as California Business Litigators of the Year by the International Advisory Experts. In 2017 we set a record for verdicts and collections for our clients. We brought in multiple seven figure collections for our clients. Shout out to the happiest (their description) Berkeley Law second year students, Michael and David Belcher. Keep up the good work with the Berkeley Journal of Criminal Law. The Berkeley Journal of Criminal Law provides a forum for the discussion of regional, national, and international criminal law issues. Since its inception in 2000, the journal has published cutting-edge scholarship by professors, judges, research fellows, clerks, and law students from across the country. (From the Journal’s website). 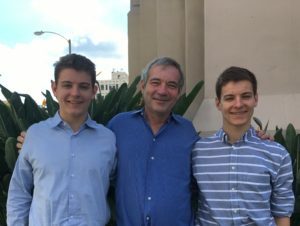 The class of 2019 will have two more Belchers to keep California litigation lively!